Learn How to Restore Lost or Deleted Contacts On Android: As we all know, you can lose your contacts unexpectedly, and they are very important. There are few options available to get back our lost contacts. Therefore, today we are going to show you two methods which will help you to get back your deleted contacts. Go through the post to know about it. Today we are here with the method for Restore Lost or Deleted Contacts on Android. Today many of you are using Android devices and we all know that Android is now one of the leading smartphone OS. Android provides many features for its user. Therefore, we are here with a method by which you can restore deleted contacts in your android device. If you accidentally lost contacts from your device, then you can restore them to your Android device as contacts are the most important thing in your mobile. In your Android device when you fill up your Google account in it then all your Android data including your contacts get sync with your google and if you have lost your contacts, then you can revert them back. You just have to follow some simple steps to proceed. Step 1. First of all, open the link https://www.google.com/contacts/ in your browser. Now login with the google account that you have registered on your android device. Step 2. Now there you will see all your contacts listed, even the contacts that might get accidentally deleted by you. Now you can explore any of your contacts and save them in your android. Also, when you sync the same google account with your Android again the all your contacts will get automatically restore. In your android device, there is the copy of your contacts that have been stored in your storage. 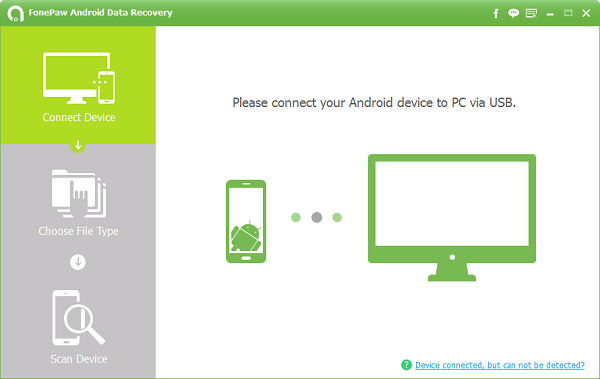 Android data recovery is a software for PC which can easily restore all your deleted contacts of your android. Just follow up the below steps to restore. Step 1. 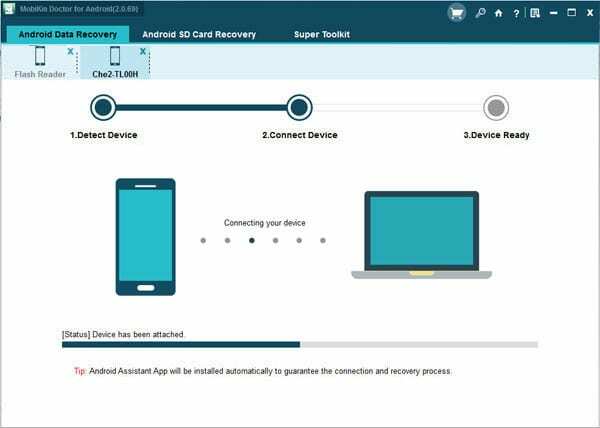 You need to install and launch the Android Data Recovery then you will see it’s primary window which will ask you to connect your Android device to PC via USB cable. Step 2. In the next step, you need to enable USB Debugging on your phone. You need to enable the developer mode (tap several times on “Build number” in “About Phone” section in order to enable developer mode) and then enable USB Debugging. Step 4. 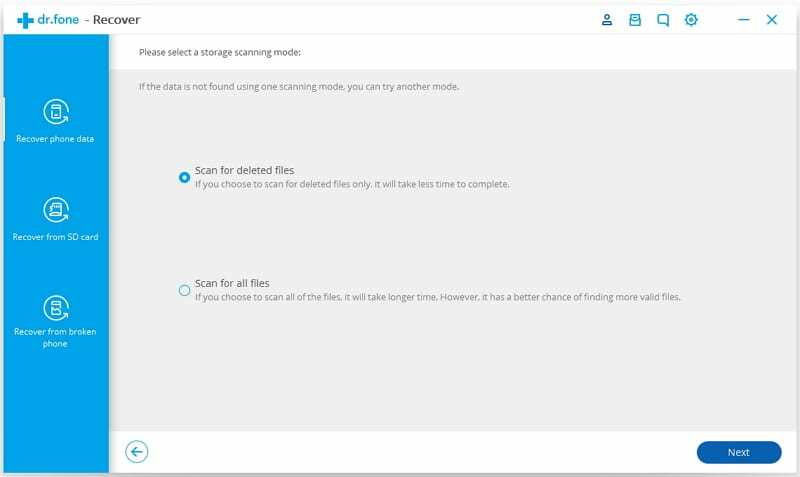 After the scan is completed, you will have the option to recover your deleted contacts. Just mark them and click on Recover. 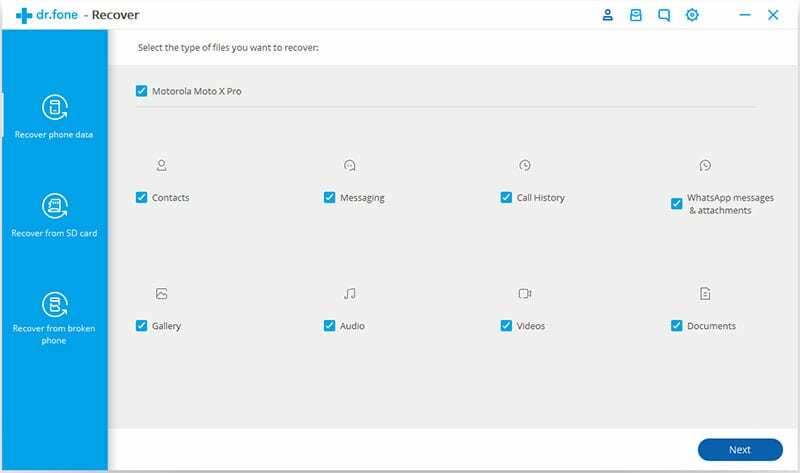 MobiKin Doctor is another awesome utility tool for Windows and Mac that you use to manage your contact. With MobiKin Doctor, you can recover lost, deleted, or formatted contacts on your Android smartphone. Step 1. First of all, download and install MobiKin Doctor on your Android smartphone and launch the tool. Step 2. Run the software and connect your phone to the computer through a USB cable. 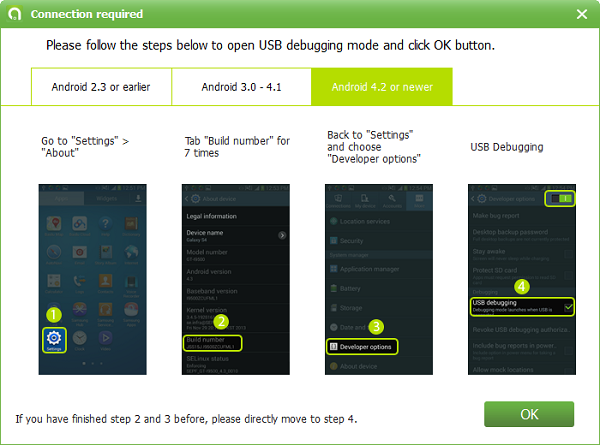 Make sure to turn on the USB debugging mode on your Android device. Step 4. Now the software will look for the deleted contacts on your Android, wait for few seconds or minutes. Once analyzed, you will get to recover your desired contacts. That’s it, you are done! This is how you can recover deleted contacts on your Android smartphone. You can also proceed with this Android Data Recovery and it will surely help you to do same. 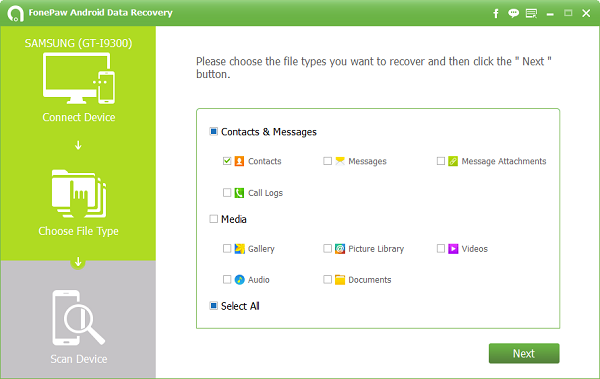 Well, dr.fone – Recover is one of the best Android data recovery tools which you can use to restore lost or deleted contacts. However, you need to have a computer to use the tool. Follow some of the simple steps listed below to proceed. Step 1. 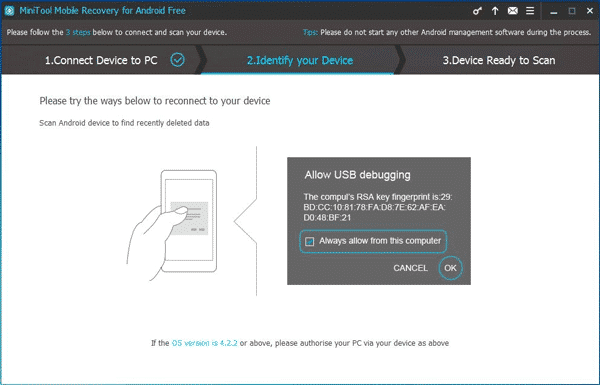 First of all, connect your Android device to the computer via USB Cable. Make sure to turn on the USB debugging mode on Android before connecting. Step 2. 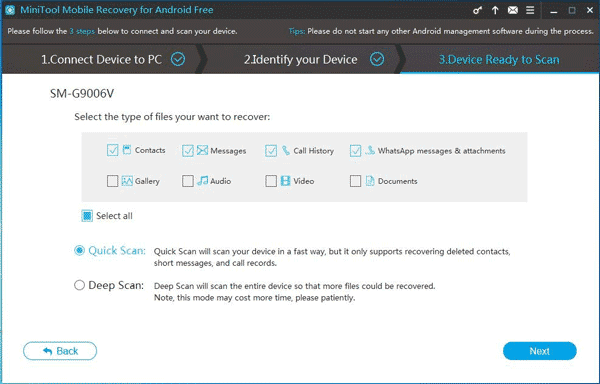 Now, wait until dr.fone – Recover detects the connected device. Step 3. Once done, the tool will ask you choose the type of file types which you want to recover. Step 5. 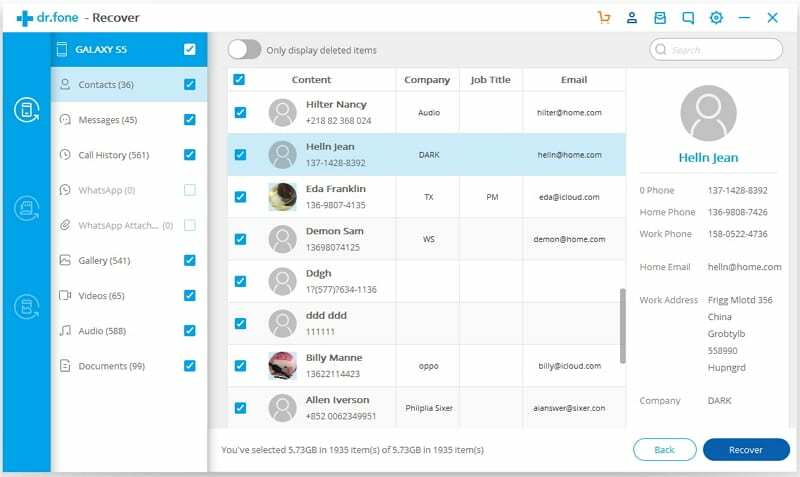 Now the tool will scan your Android device and will list out all deleted contacts. That’s it, you are done! 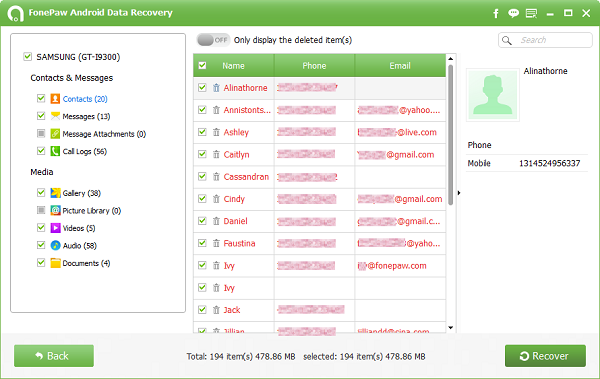 This is how you can recover deleted contacts by using dr.fone – Recover. MiniTool Mobile Recovery For Android is another best Windows 10 software which you can use to recover almost every deleted file types from your Android smartphone. The best thing about MiniTool Mobile Recovery For Android is its intuitive and easy-to-use interface. 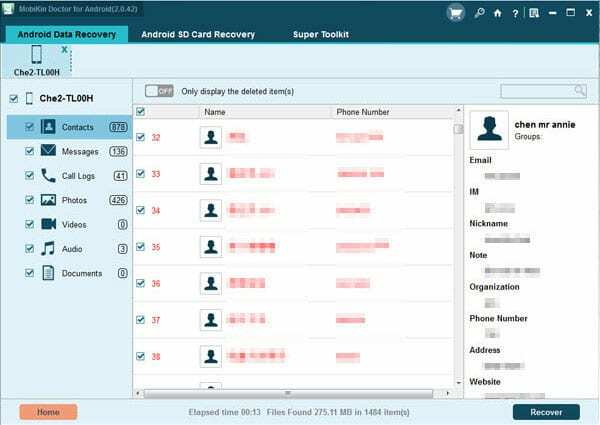 So, let’s know how to use MiniTool Mobile Recovery For Android to recover deleted contacts from Android. Step 1. 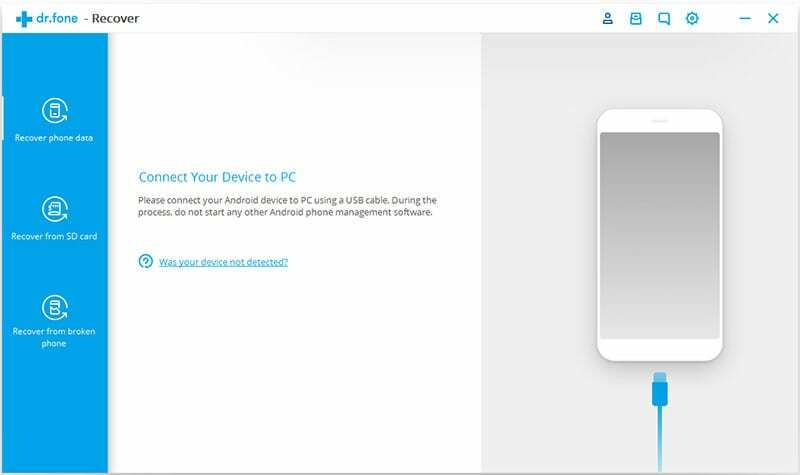 First of all, download & install MiniTool Mobile Recovery For Android on your Windows computer. That’s it, you are done! 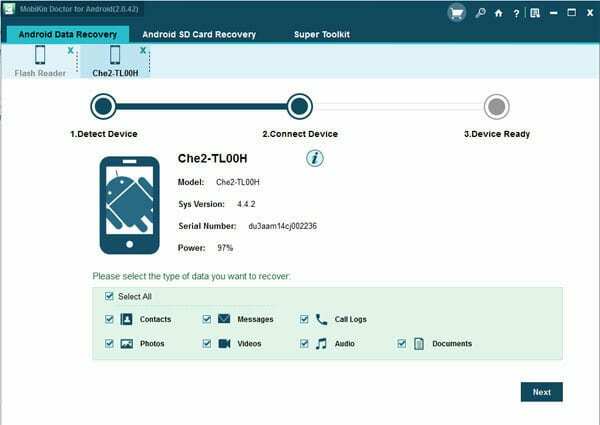 This is how you can recover lost contacts from Android by using MiniTool Mobile Recovery For Android. So, above is all about Restore Lost or Deleted Contacts On Android 2019. By this method, you can easily restore any of the contacts which you have deleted. Moreover, this will help you to recognize your contacts. Hope you like the post, don’t forget to share it with your friends and leave a comment if you are facing trouble at any step.